On December 15th 2013, an educational documentary film titled “Monastery” will premier on the Russian TV channel “Culture.” The film was written and narrated by Metropolitan Hilarion, the Chairman of the Department of External Church Relations of the Moscow Patriarchate. The documentary is dedicated to Russian monasteries, which for many centuries served as important spiritual centers as well as bearers of culture and high moral values. The film talks about the emergence and spread of monasteries, their impact on peoples’ spiritual enlightenment, as well as the revival of monasticism in modern-day Russia. 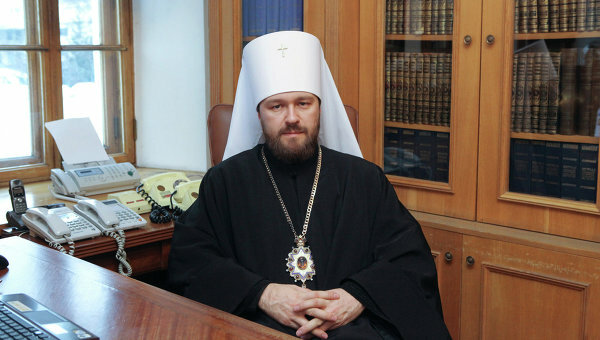 Metropolitan Hilarion is known as the author and creator of many educational films most of which are part of a series. Among the most well-known is the series of ten films such as “Man before God,” “The Church in the History of the World,” and also the film titled “The Second Baptism of Russia” which is dedicated to the 1025th anniversary of the Baptism of Russia. The film also contains comments by Sergey Ivanov who is the Head of the Presidential Administration of the Russian Federation and Natalia Narochnitskaya, a historian and politologist as well as other state and public figures and experts. In the European part of Russia, the film will air on Sunday December 15th at 5:10 PM.